Our fur-babies are not priced until the age of 4 weeks. Pricing of our babies range from $1500.00 to $2500.00 and is determined on an individual basis depending on coat color, estimated size at maturity and whether you choose a boy or girl. *Note: size and color are only an estimate. We do our best to estimate adult weights and colors from our past pups and our Mom’s and Pop’s colors and weights, but keep in mind it is ONLY an estimate. 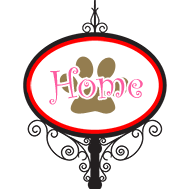 We DO NOT sell to puppy mills, pet shops or pet brokers ! ! ! We reserve the right to refuse any sale if we believe it is not in the best interest of our fur-babies! **Breeder reserves the right to first pick of any litters for our breeding program. We require a deposit of $500.00 to hold a puppy for you. Your deposit must be received within 5 days from the day you selected your pup and was placed on hold. Deposits are NON-REFUNDABLE under any circumstance! We except USPS Postal money order sent Priority Mail with Delivery Confirmation or Cash for local pick up. I will except Credit Cards through PayPal (add 3% to the purchase price to cover the fee charged by PayPal). NO PERSONAL CHECKS WILL BE ACCEPTED. We offer a 10% discount to Repeat Pet Buyers as I am thrilled to have one of my puppies be going home to a brother, sister or buddy! If 2 puppies are purchased together the 10% discount will be taken off the lowest priced puppy. Final balance including shipping fees is due at the time your selected puppy is 7 weeks of age. If the balance due is not received by the time your selected puppy is 8 weeks and other arrangements have not been made your deposit will be forfeited and the puppy will placed back up for adoption. We DO NOT crate ship our puppies. We will hand deliver your baby to your nearest available airport. This service is an additional fee of $350. We enjoy meeting our puppy’s new parents so you are more than welcome to pick up your puppy. We are happy to meet you at the airport or will drive to deliver your new little one for a minimal fee.